Krista McLaughlin - YA Author: IWSG - Now what? I swear I miss this post every other month, but I'm here! 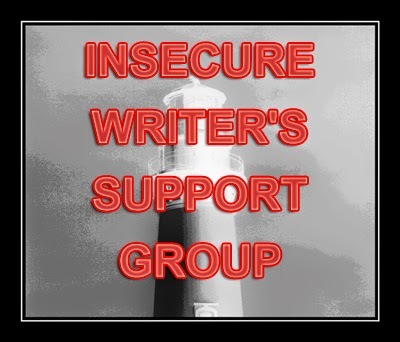 Today is another installation of The Insecure Writer's Support Group, which posts on the first Wednesday of every month and is run by our Ninja Captain Alex Cavanaugh. This is a place where writers can express doubts and concerns without fear of appearing foolish or weak. Those who have been through the fire can offer assistance and guidance. It’s a safe haven for insecure writers of all kinds. 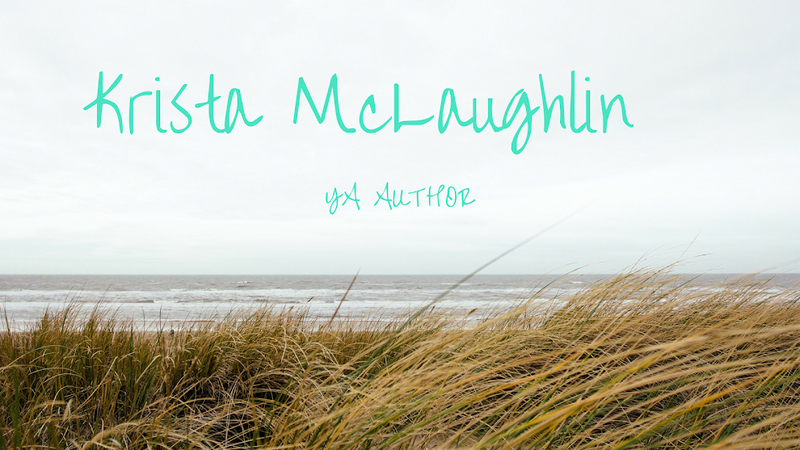 So, I published my first novella on April 1st and it was a blast! I love how the book turned out and I really appreciate everyone who helped me celebrate my release! I'm kinda coming down off of the book release high and I'm looking at sales. Reviews have been wonderful and I love all of the little comments! One of my coworkers told me she read it, cried, and loved it. It really makes me feel good to hear those words of encouragement, especially from people I know! I love the review from strangers, but it's great to be reassured from friends and family. And now I'm kinda in a post book release slump. I finished writing "Silent Beauty" - my retelling of Beauty and the Beast with a deaf girl and a geek. I'm super excited about it and I'm (for ONCE in my life) excited to edit it! Then I will have the decision to self-publish it or seek representation for it. I don't know. I've decided, that's the great part about writing! We choose our own adventure. Sometimes we decide to take the left door instead of the right door and end up being eaten by a crocodile or getting stuck in a field of poppies that make us sleep. But the great adventure is the different places our writing can take us! Our writing journey's are all unique, like our books. I just have to decide which path I would like to take next. What do you think of self-publishing and traditional publishing from the same author? What's your favorite part of your writing journey so far? Congrats on your success with Breathless! I love self-publishing. I love being in control of every step of the process. BUT I am sort of edging towards the idea of querying now in the hopes of reaching a bigger audience. I like it that authors can traditionally publish and self-publish, too! The publishing industry has changed so much the past five-ten years, and while I don't like all of the changes, I can't deny that more avenues for creative people have opened up. And that's always a good thing! The publishing industry really has changed and that makes it a good thing for writers! I just have to figure out which path to take, lol. :) Thanks Laura! I would love to be traditionally published one day, but I also love the idea of self-publishing. I guess I'll decide when I get to that point! I love both too! It's a hard decision to make! *you'll. Why do I always see the typos after I hit publish? Lol. Silent Beauty is perfect, glad you took it up and your story sounds like a really good book. I think if you really love it after editing maybe you should try for a two month span maybe for representation. I think it has a really good chance. My fave part of my writing journey is letting myself spread my wings and not worry about publishing right now. I came up with a new series last month and I'm sharing it tomorrow. Choosing your own Adventure is definitely a part of writing. Excellent concept Krista! I love both trad and self publishing. Right now I have goals to self publish a novella series this year, submit a novel to a contest to potentially get trad published and next year send a novel out for submission, self publish two novels and another series. But at this moment I'm just having fun. Glad Breathless is getting positive feedback. Thank you Sheena! And thank you so much for suggesting that title! I've already mentioned you in my acknowledgements. :) I'd like to try for representation when I'm finished with revisions. I'd also like to maybe try small publishing houses or e-publishers. Good luck with your series! It sounds like you are going to be busy too! Honestly; my favorite part of the writing journey is editing and revising. Taking what is already there and making it awesome. I hate the first draft. Takes me forever!! Now days, it takes all sorts of courage to publish - self publish or traditional. Seems like the promotional work is all the same though. Tough decisions all around. There's no set rules. Plenty of authors do both, depending on what's best for the story. Congrats on your great reviews! I say do whatever it takes to get your work out. People who are snobs about self-publishing need to check themselves. So glad you're getting great reviews! To make someone actually cry is awesome :) Your new MS sounds really interesting. I loved your analogy - never thought of it that way, but you're right. We get to choose at least a little bit. That is kind of exciting. I love your cover!! It's so romantic.